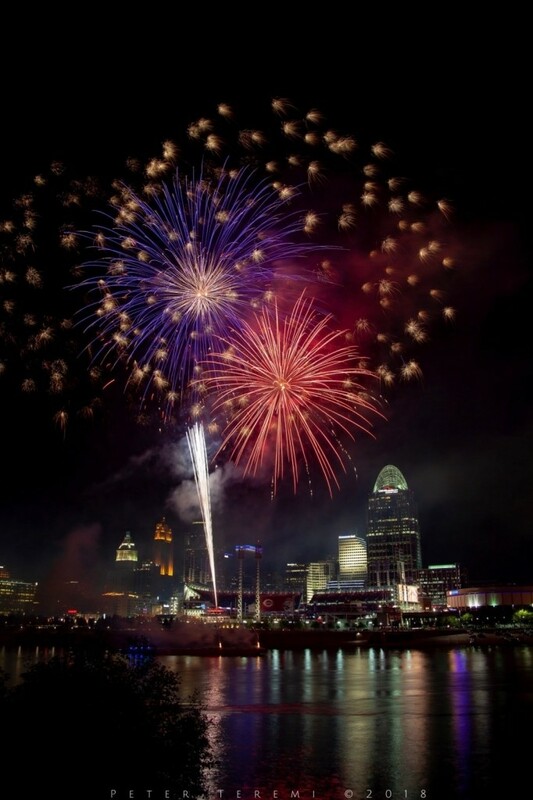 Fireworks Friday’s are a summertime tradition in Cincinnati. Beginning 15 minutes after the conclusion of Friday night Reds home games, May through September, you can enjoy a beautiful display of Rozzi’s Famous Fireworks. I was hoping to capture a selection of fireworks images for this years book. Murphy did not join me on this expedition. He is an adventurous soul, but Fireworks are not his cup of tea. In the image below, Deep Purple and fuchsia hues infuse a tapestry of Golden Slumbers creating plumes of Smoke On The Water. Great American Ball Park and the Cincinnati skyline create a beautiful backdrop for the display. Hoping this finds you well. Comments always welcome, and if you enjoy these, please pass along. Best wishes from The Murphy-Cam Project!